Google is holding a search-related press event in San Francisco and the company just mentioned that it will be updating its Search app for the iPhone and iPad with Siri-like Google Now functionality, which we first caught a glimpse of at Google’s Nexus 7 tablet announcement back in June. Google has updated its search app for iOS to include voice-based questions and answers. You can “ask for the weather in a natural way” and it will provide results. 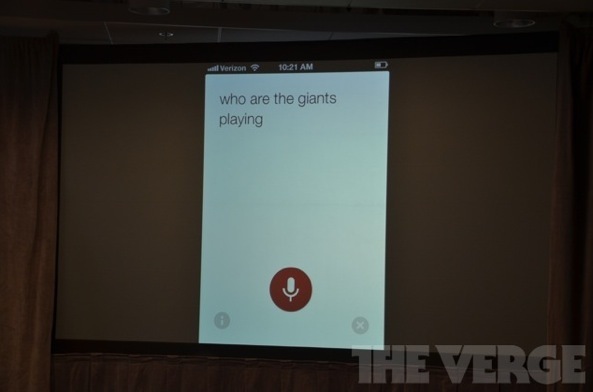 It mirrors the functionality already introduced for Android 4.1 and, in many ways, the functionality of Siri. The interface is clean, matching Google’s open white-space aesthetic with some swooping animations for bringing up the voice search button. More competition in the digital personal assistant space is always good and will push Apple to double down on Siri, as Tim Cook promised. Google Now is billed as a mobile personalized search application powered by Google’s Knowledge Graph. It is built in to Android 4.1 Jelly Bean and above, with the interface contained within the Google Search app right beneath the search bar. Features include cards of sorts that automatically appear throughout the day, providing an inteligent at-a-glance overview of your day and recommendations based on what you search for in the past and taking advantage of everything Google knows about you. Clicking a result will open the web page in a Chrome-like new tab within the app itself. You can also direct the search to do actions immediately, as in Google’s example: “Show me a video that explains quantum physics.” It immediately pulls up YouTube in a tab and presents a video. It also uses actions you’ve performed on your phone in the past to get an even more accurate overview of a user’s general interests and habits. 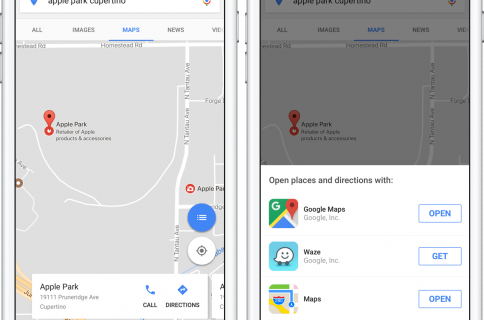 Here’s an interesting side-by-side comparison between Siri and Google Now. Your takeaway: both Siri and Google Now appear to be on par as far as overall capabilities go. Search Engine Land has more on today’s search-related announcements by Google, including the Knowledge Graph now being available worldwide (with a carousel), Google doing 100 billion searches per month and knowing of 30 trillion URLs on the web and much more. One example: lists and collections in search results, as seen in the below clip. Sometimes the best answer to your question is not always a single entity, but a list or group of connected things. Now, with the Knowledge Graph, Google can answer these questions, too, with a new interactive carousel at the top of your results page. A post over at the official Google blog may also come in handy. 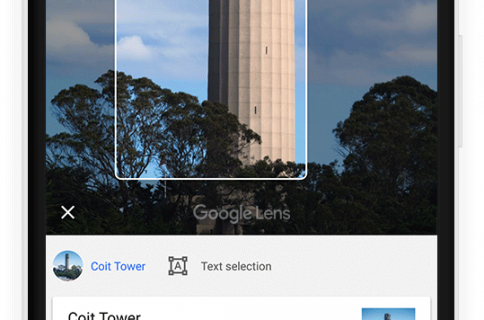 Are you excited about the possibilities Google Now will enable on your iOS devices?